Although Google Maps ist still opening it’s functions to iPhone user there are better tools outside to navigate offline through the world as photographer. 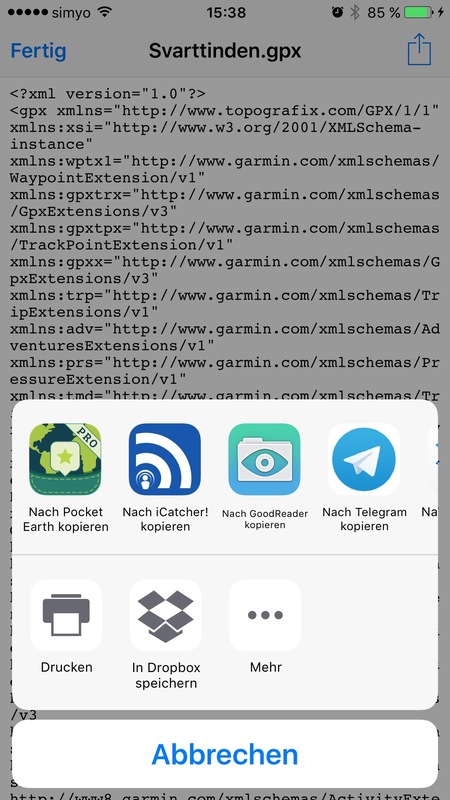 The Pocket Earth App is my tool of choice when it comes to offline navigation. 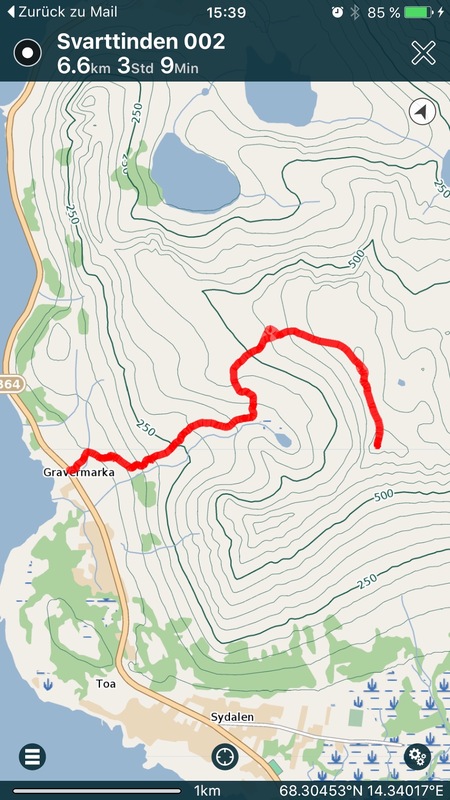 Open Street Map is more accurate and especially if your are into hiking Pocket Earth is the App on your iPhone. 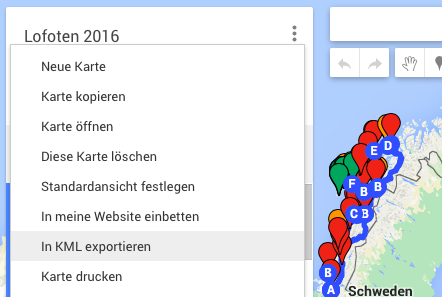 Research at home is far more easy in the Google Maps environment at the moment! 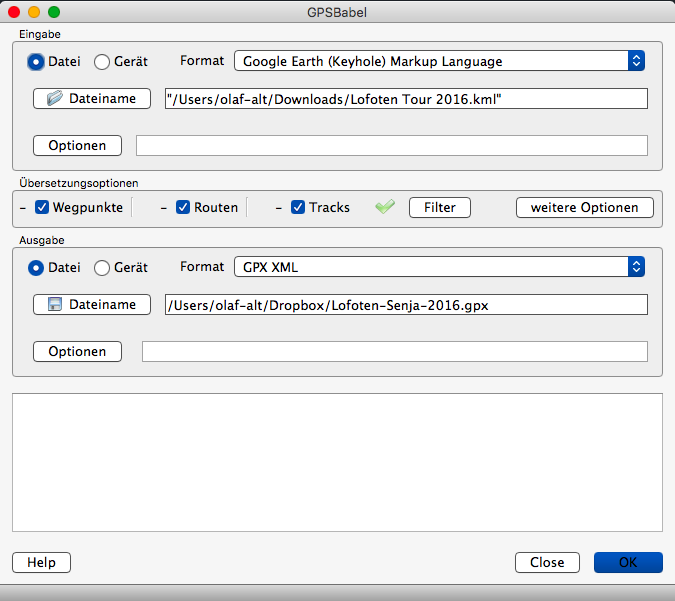 But how will you get your Google MyPlace Data from a browser (not only MacOS) in your Pocket Earth App? 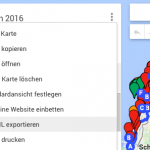 How to get Google MyPlaces to Pocket earth? 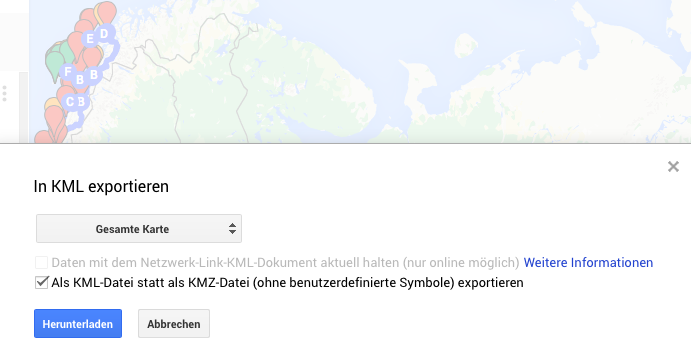 How convert Google KML or KMZ Data from your Mac OS to GPX XML for the App Pocket Earth? 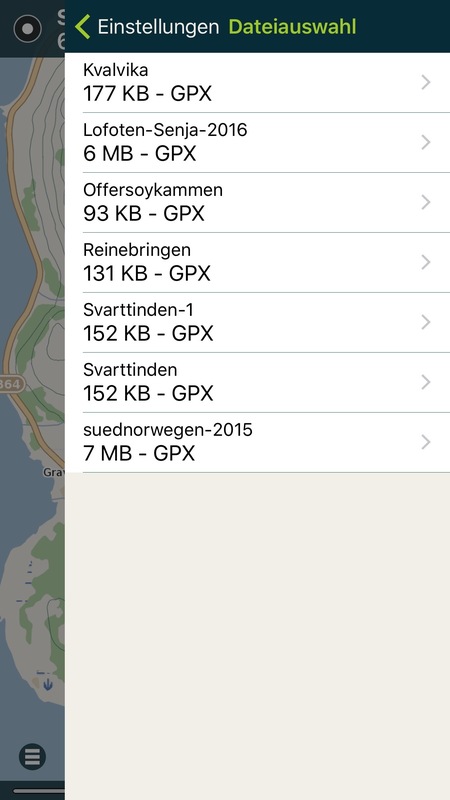 Your converted „NameOfYourMap“.gpx file have to find its way in the iPhone: Send it to your Dropbox or to yourself via Email. There: Open the file and lots of code is coming up. 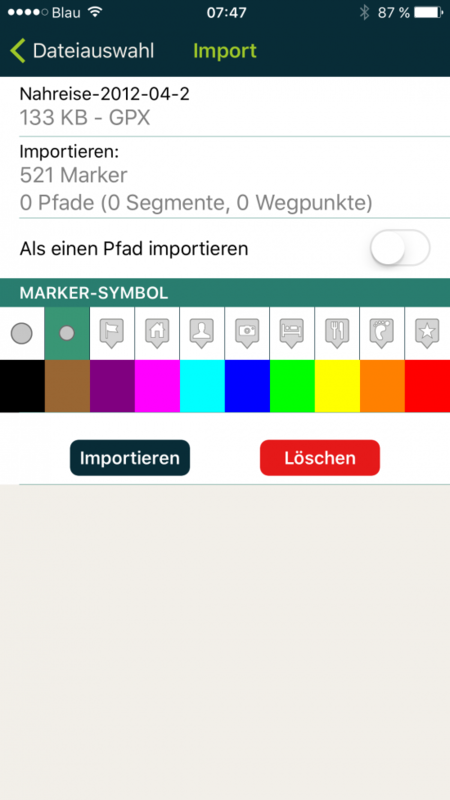 Find the send to function (tap on the code, upper right corner, there it is: The Little square with the up arrow in it). 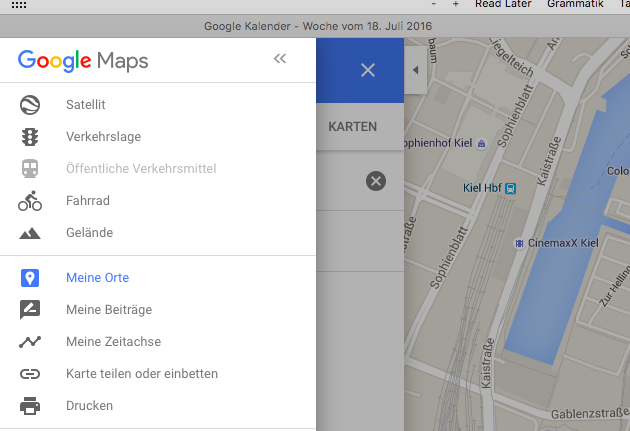 IMPORTANT NOTE: Disable “Als einen Pfad importieren” if you want to display all waypoint at once on the map!!! 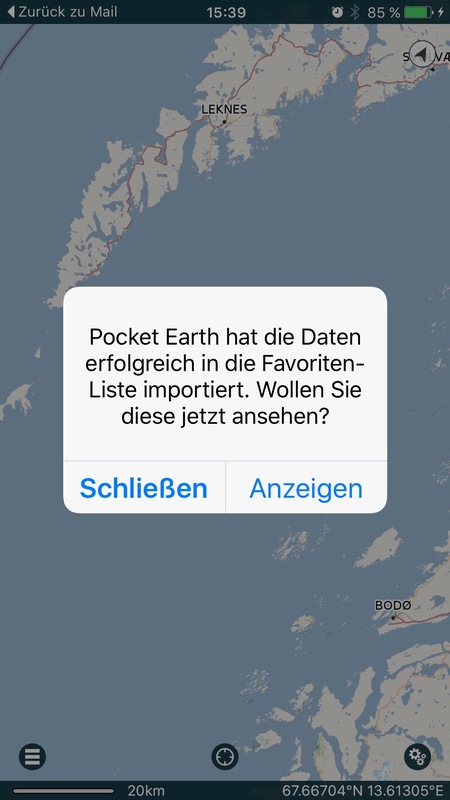 You can find your imported data in the “import function” of the Pocket Earth App. 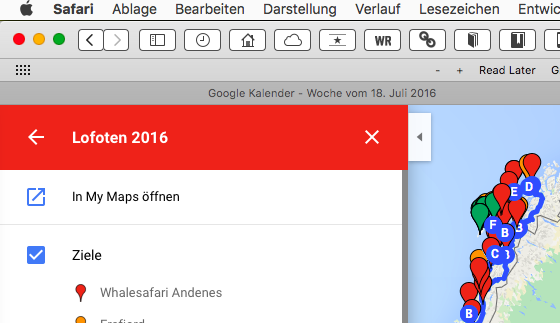 You have to import it all of the time, when the App was closed.